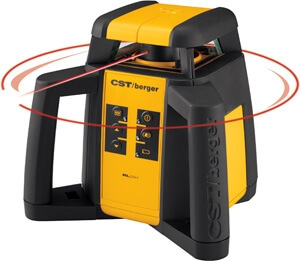 The CST/berger RL25H Exterior Rotary Laser is Self-Leveling. It has a rugged design with its case having an IP56 rating which means it can handle the construction job site work environment. The RL25H has a 3/32" leveling accuracy to 100 feet, and and an extended working range of 2000 feet. 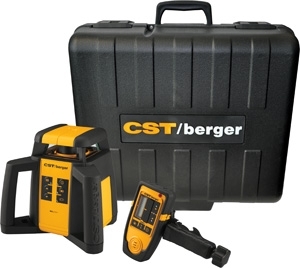 The laser level has single axis slope control which allows the user to change the slope of the laser, making complex leveling applications quick and easy. The RL25H also has ADS, which is an Anti-Drift System which alerts the user when laser has drifted from a benchmark.